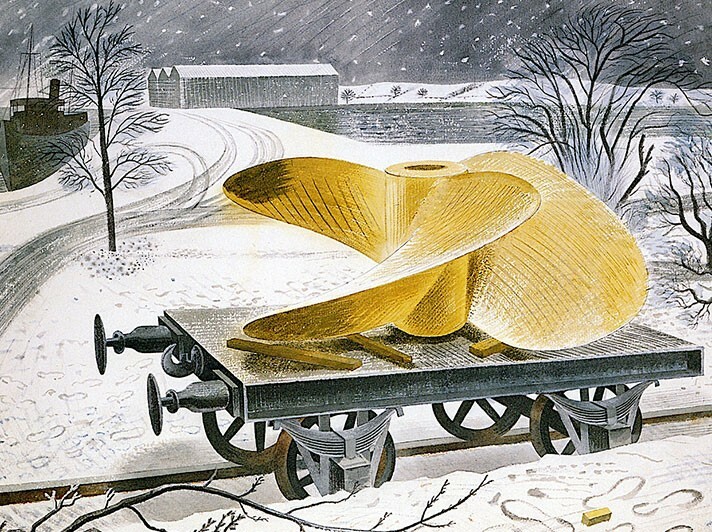 Greeting card reproduced from a watercolour by Eric Ravilious. 125 x 175mm with white paper envelope. Recycled and/or FSC approved materials. Published by Orwell Press Art Publishing.